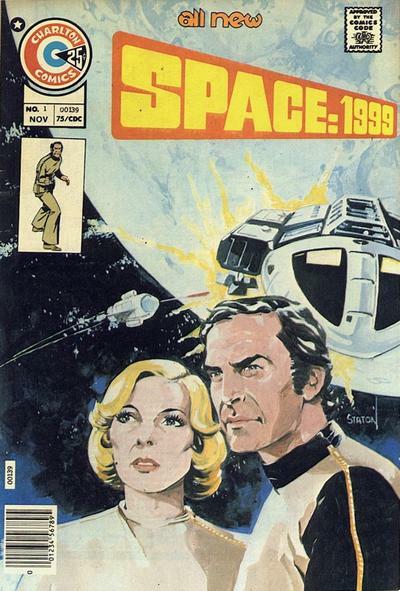 Though not a big purchaser of non-Super hero comics in the 70s, I did buy both issues 1 & 2 of Space:1999. Stanton was an original when it came to style. Somehow he had a bit (just a bit) of a Jack Cole vibe. Good post Chris. 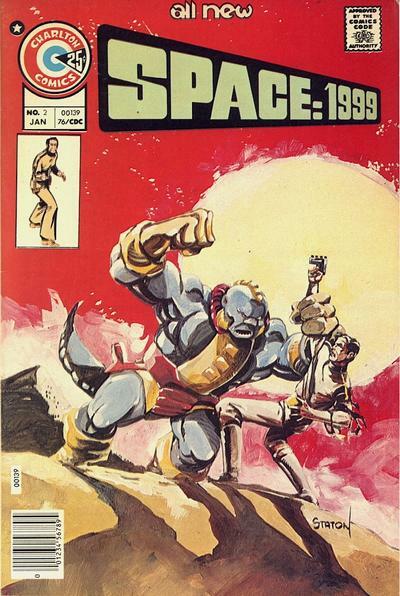 Enjoyed Staton (& Byrne & Boyette's) run on the color books, where they provided a marked contrast in style to Gray Morrow's ultra-realistic art on the b/w magazine (also by Charlton). Thanks for the nice comments about my "...fast-paced.." scripts. I try to write according to the media and talking heads might be okay for horror (pun intended) but not for space opera and as you mentioned I am a big fan of space opera. By the way, working with a talent like Joe Staton, who also happens to be one heck of a nice guy as well, has always been a pleasure. I never have to worry about how my scripts will turn out. Joe adds so much to them I almost feel I should just say a word or two and just sit back and let him do his stuff. I still have issue #1 still in pretty good condition and now resting comfy in a plastic bag. Great read and great art!